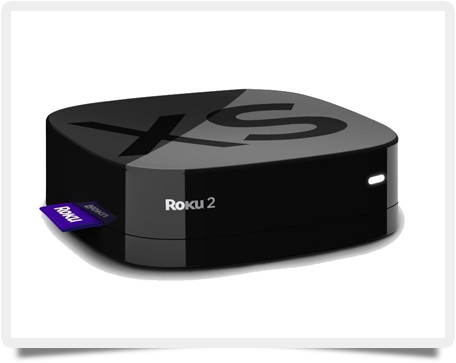 Roku is a streaming device that allows users to stream content from the Internet to the TV. Though many DVD players include some of the more common streaming sites like Netflix and Hulu, there are a lot more streaming sites out there that are only available on streaming devices such as the Roku. But what are the best Roku channels available? Netflix: Netflix is currently the number one channel viewed on Roku. It requires a subscription to Netflix to view. The Roku channel code is (12). Hulu Plus: It also has a monthly fee. Hulu Plus allows its users to see current television episodes as early as the day after they air. And if you are a fan of the classics, you can watch episodes of I Love Lucy and other favorites. It also has hundreds of movies for your viewing pleasure. The Roku channel code is (2285). Amazon Instant Video: Although Amazon is new to the scene, they came bearing gifts. They have over 100,000 movies and TV episodes crossing all platforms and genres of entertainment. All of these items can be rented or bought and added to Your Video Library. The Roku channel code is (13). HBO GO: This is a paid service, in a sense. It is included in a user’s monthly subscription to HBO. The streaming service gives viewers access to all of HBO’s movies and episodes, old and new. The Roku channel code is (hbogo). Angry Birds: Yes, you heard right. The Angry Birds channel can only be installed on the Roku 2 and later models, and Angry Birds Space must be used on the Roku 3 device. Games are played via the Roku enhanced remote. The Roku channel code is (angrybirds). This is a very small list. Other top titles include Pandora, YouTube, and NBA Game Time. There are other streaming devices on the market, but according to Parks Associates, Roku is the streaming device of choice. There are also a slew of private channels which can be shared or restricted to specific people. Go ahead and take a look at all the possibilities Roku has to offer. You may find it a necessary addition to your entertainment network. Then you can decide the best Roku channels for your household.